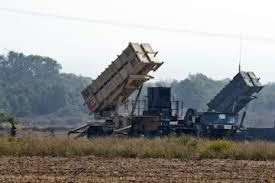 Turkey's request to NATO for Patriot missiles is 'a new act of provocation', Syrian state television has quoted a foreign ministry official as saying. Turkey turned to its NATO partners earlier this week to request the deployment of surface-to-air Patriot missiles to protect its troubled border with Syria. In its first reaction to Turkey's request on Friday, the Syrian foreign ministry accused Ankara of causing 'tension and destruction'.